What Happens Now That Catalonia Declared Independence? Spain's government has approval to impose direct rule under Article 155, but it's not immediately clear how that will be implemented. Catalonia declared independence — but Spain won't let it happen without a fight. Catalonia's Parliament voted overwhelmingly in favor of the independence resolution on Friday. The final tally was 70-10. Minutes later, Spain's Senate approved invoking Article 155, which lets the Spanish government impose direct rule over Catalonia. Specifically, Madrid could dismiss Catalonia's president and other government heads, as well as take control of the region's police, public media and finances. Local media note Senate approval on Article 155 doesn't directly start the process, it just gives Spain's government the ability to use it. 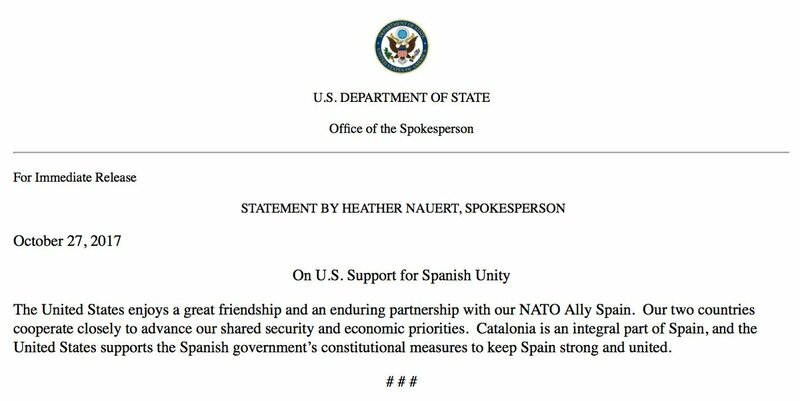 The U.S. government expressed support for Spain's "constitutional measures" to keep the country whole. 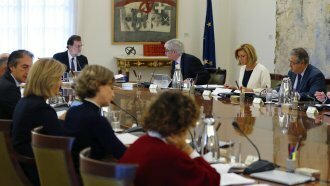 The European Union said the declaration changes nothing about its relationship with Spain. Looking forward, Spanish officials could face civilian protests or mutiny from Catalonia's civil servants. Some outlets are already speculating about a possible civil war.